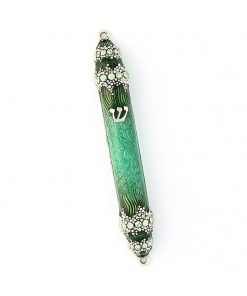 This handcrafted mezuzah features a stained glass bride and groom under a chuppah. 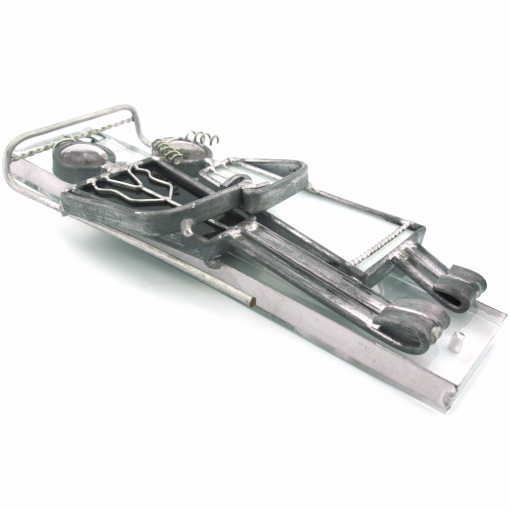 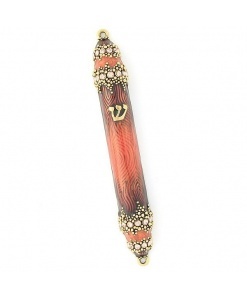 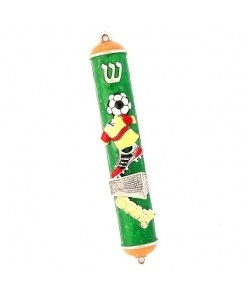 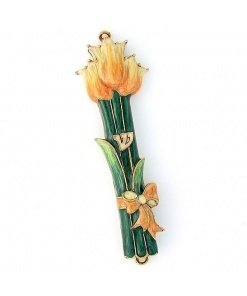 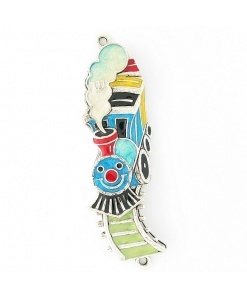 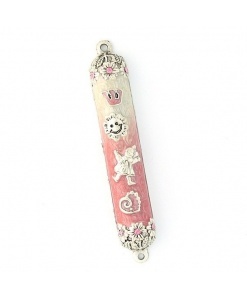 This mezuzah has a few simple details that turn it into such a magnificent piece. 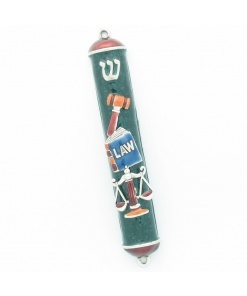 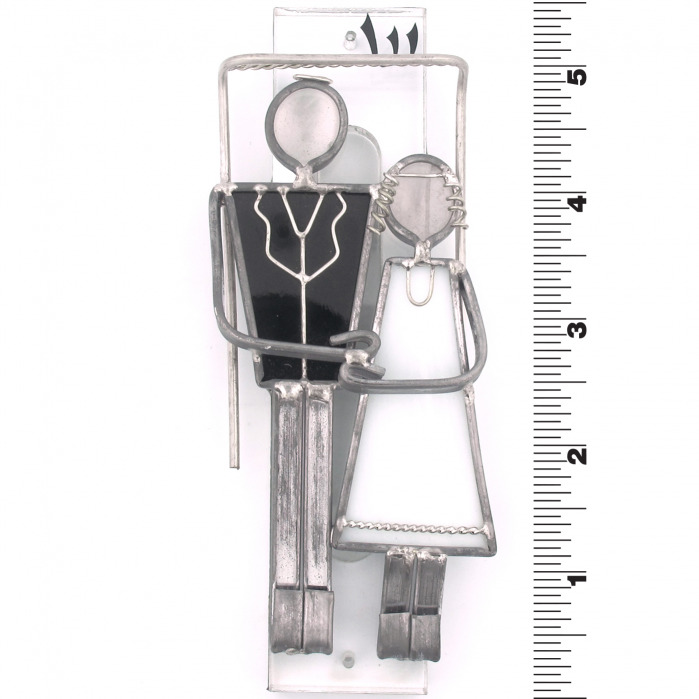 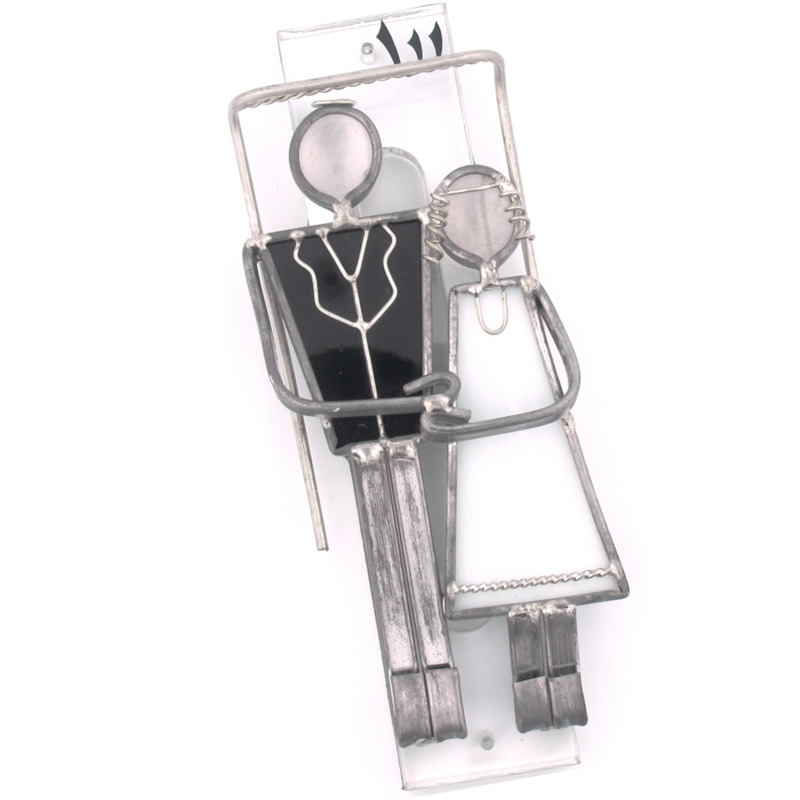 This one of a kind mezuzah makes a great gift for a new couple.